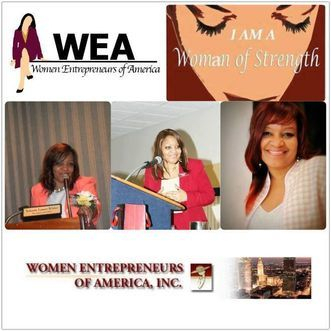 Women Entrepreneurs Of America (WEA) is celebrating a milestone of 17 years of service this November, 2019 to the empowerment of disadvantaged women in business globally. Our ongoing celebration of events is all about the empowerment, education and development" in supporting the advancement of women entrepreneurs. Women Entrepreneurs Of America, Inc. is a 501 (c)(3) nonprofit membership-based organization that empowers and encourages disadvantaged women to reach their fullest potential in business. For 16 years now, this premier business women’s national organization has been guiding and supporting women in the pursuit for business success. Founded by Entrepreneur Extraordinaire, Ms. Yolanda R. Lamar.